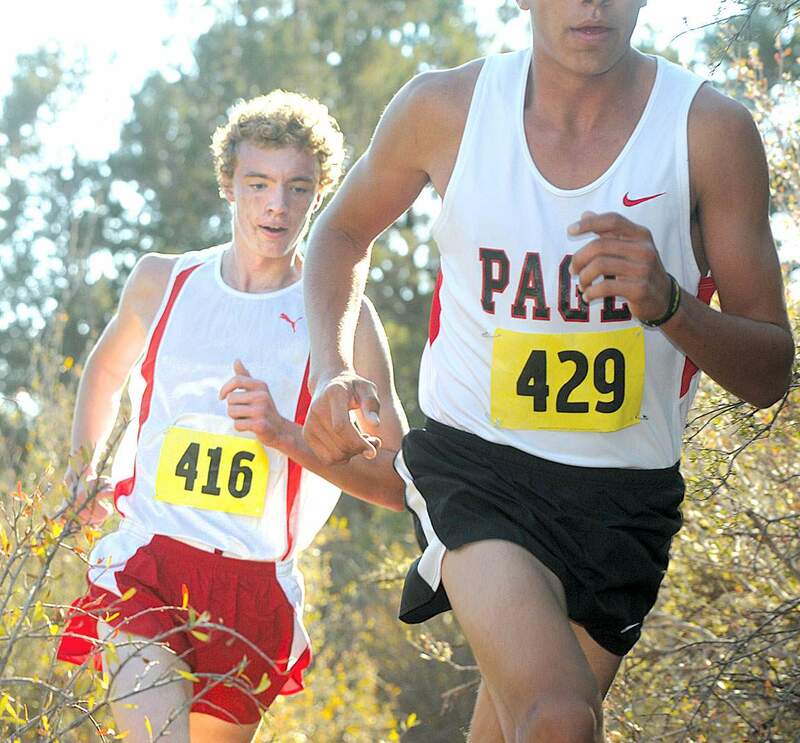 Jeffery Miller of Page, Ariz., (429) took the early lead in the boys varsity race at the Southwestern Cross Country Challenge on Friday at Fort Lewis College, then led from start to finish. 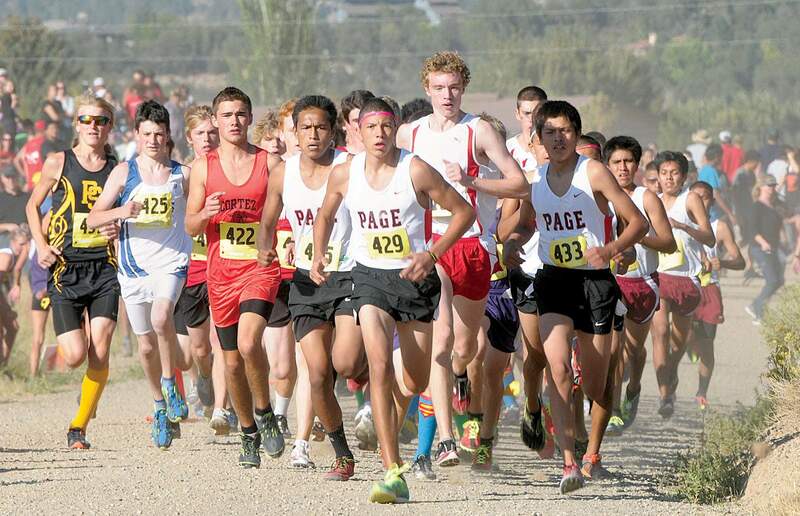 He and teammates Tyron Yazzie (433) and Ammon Secody (455) helped Page win the boys team title. Durango’s Joe Maloney stayed right on the shoulder of leader Jeffery Miller of Page (Ariz.) for much of the Southwestern Cross Country Challenge on Friday at Fort Lewis College. Miller’s shoulder cross the finish line first, and Maloney finished second. “I just didn’t have it in me,” Maloney said. Shannon Maloney of Durango led the girls varsity race early with Emily Bryant of Pagosa Springs and Eva-Lou Edwards of Bayfield close behind. Edwards sat back, then won late; Maloney was second and Bryant third. It was a good race, but I started out too fast, Maloney said. Hannah Peterson was the No. 2 finisher for the DHS girls, who won the inaugural Southwestern Cross Country Challenge on Friday at Fort Lewis College. She finished fifth in 20 minutes, 51 seconds. With a Maloney here, a Maloney there and Demons running everywhere, the top-ranked Durango High School cross country team made itself right at home in the inaugural Southwestern Cross Country Challenge on Friday afternoon at Fort Lewis College. 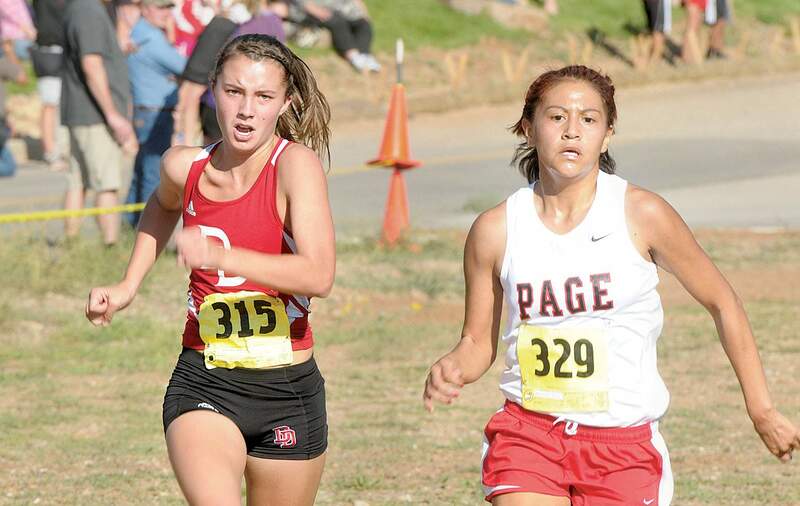 The Durango girls, led by Shannon Maloneys second-place individual finish, won the team title in the first combination cross country meet co-hosted by Bayfield and Durango High School. The DHS boys, led by Joe Maloneys sister-matching runner-up result, finished second to Page, Ariz., in the boys team standings. 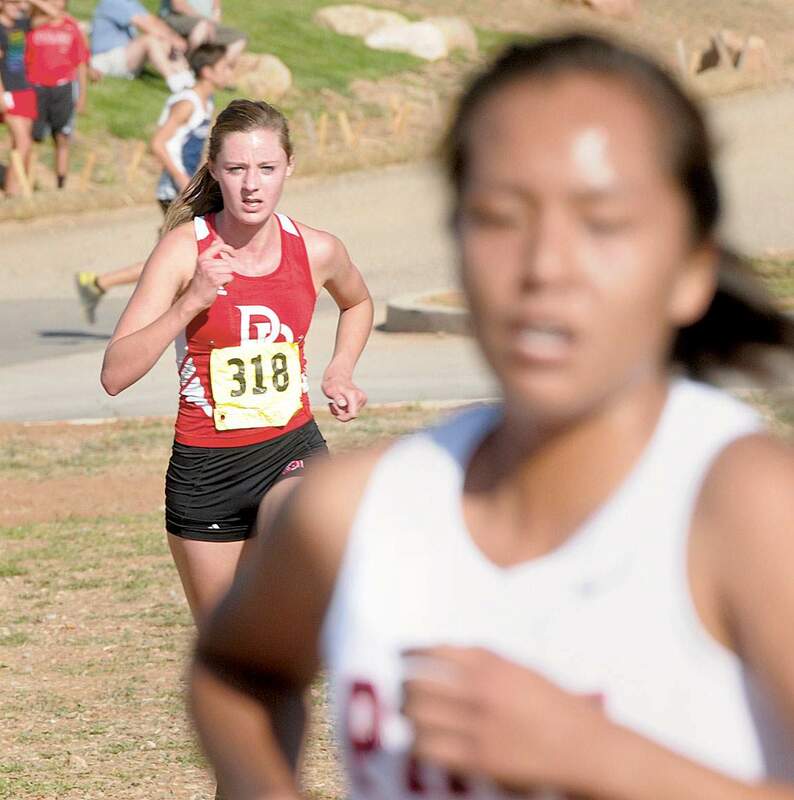 The kids exceeded expectations, first-year Durango head coach David McMillan said. He said the Demons used their depth against the nine-team field Friday. 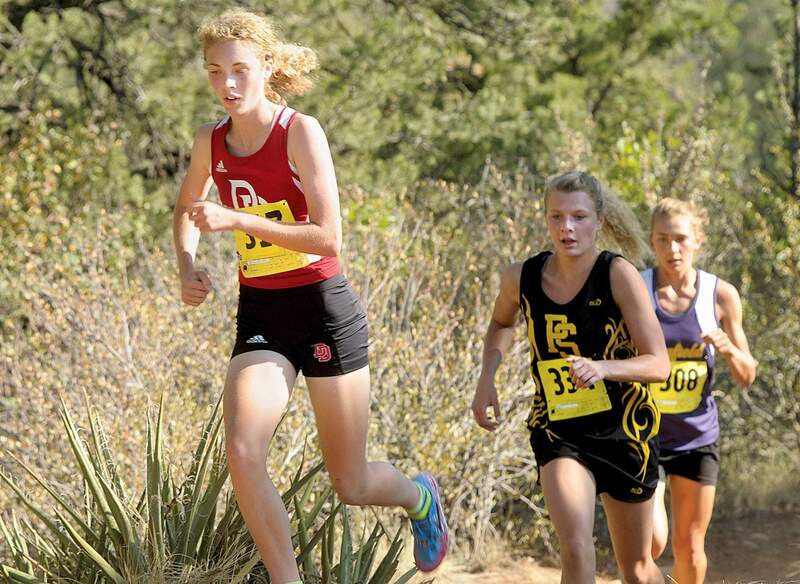 Hannah Peterson finished fifth for the Demons, behind winner Eva-Lou Edwards of Bayfield, Shannon Maloney of Durango, Emily Bryant of Pagosa Springs and Jayde Secody of Page. Bates finished eighth for the Demons, covering the 5-kilometer trail run in 21 minutes, 23 seconds. Edwards won in 19:11. Maloney was next at 19:33. Carly Pierson was 12th for DHS, while Demons Kat Seibert and Emily Fogel grouped at 24-25. It was a good race, but I started out too fast, Maloney said after she set the early pace on the 1.5-mile loop course on the east side of the FLC campus. The high school runners did two laps on the course that was half singletrack and half dirt and gravel roads. I didnt want to be in the lead, she said. Edwards, who didnt want the early lead either, passed her at the start of the second lap. It was right before we got to the singletrack, said Maloney, who won the girls title last week at the prestigious Joe I. Vigil Invitational in Alamosa. The DHS girls totaled 27 points to win. Page was second with 30. The Bayfield girls finished third with 67 points. Rehoboth Christian School of New Mexico (near Gallup) was fourth (78). Page won the boys title with 22 points, paced by individual winner Jeffery Miller (17:06). He held off the Demons Joe Maloney, who was second in 17:13. Harrison Fleming of Piedra Vista was third (17:35). I knew the only way I could beat him is if I could get out to a 10-meter gap somewhere, Miller said of his duel with Joe Maloney. On the start of the second lap, I took it out as hard as I could. I got away like I thought, said Miller, who navigated the final mile of the singletrack solo to win the rebranded Southwestern Cross Country Challenge, formerly known as the Durango Invitational. Miller, a sophomore, won his first varsity race and credited his missing appendix. Last year, as a freshman ... my appendix burst. I was out for most of track season. Before my appendix burst, I couldnt even make varsity, he said, smiling through double-decker braces. My appendix was holding me back, I guess, he said. Joe Maloney said he enjoyed the competition against Miller, who led virtually from the start. Thats what I was trying to do, Joe Maloney said as he stayed on the shoulder of Miller for the first half of the race. But he picked it up ... I just didnt have it in me, said Maloney, the son of Melissa and Murdoch Maloney. Durango freshman Nicholas Turco was the No. 2 finisher for the Demons just one year after winning the middle school race at FLC. Turco finished eighth in 17:53. Three Demons came across the line together in the 13-14-15 positions: Alastair McMillan, Sean McLaughlin and Trent Andrews. Collin Francom of DHS was 19th. We got our first one (meet), coach McMillan said. There are a hundred things we can do better ... things we can improve on.